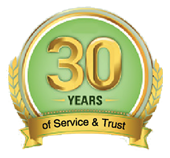 Hitech Print Systems Limited (HPSL) was started in the year 1986 with a Vision to implement Innovative Printing Technology and update them progressively. Hitech invested in State of the Art machinery in Pre-Press, Press, Post Press and in Online Personalized Variable Data Printing (for the first time in India) in a fully air-conditioned facility supported by highly experienced Technical Professionals in the Printing Industry. HPSL-AP factory is located near Vijayawada, 7 kms away from the airport and is spread over a sprawling area of around 7 acres with a built up area of about 80,000 sft surrounded by an eco-friendly environment. HPSL is a High Security Press with solar fencing, closed circuit camera monitored by security personnel round the clock, having full power backup with standby generators. To prevent unauthorized entry, all the critical areas have door access with biometric/card readers. Both the factories (AP & TS) are equipped to handle Examination related confidential printing work catering to various Universities, Boards, other Educational Institutions, Banks & Government Departments. Hitech is also specialised in Printing the requirements of various Banks, Government Departments and the Corporate Sectors. HPSL is an RBI/IBA approved Security Printer since its inception and is certified by NQA UKAS and ANAB for ISO 9001:2015 and ISO 27001:2013 certified by ANAS-BNR. Hitech is a member of PSDA (Print Services Distribution Association) formerly known as DMIA (Document Management Industries Association), USA. Hitech has a wide network with Marketing Offices located in all the major cities in India.